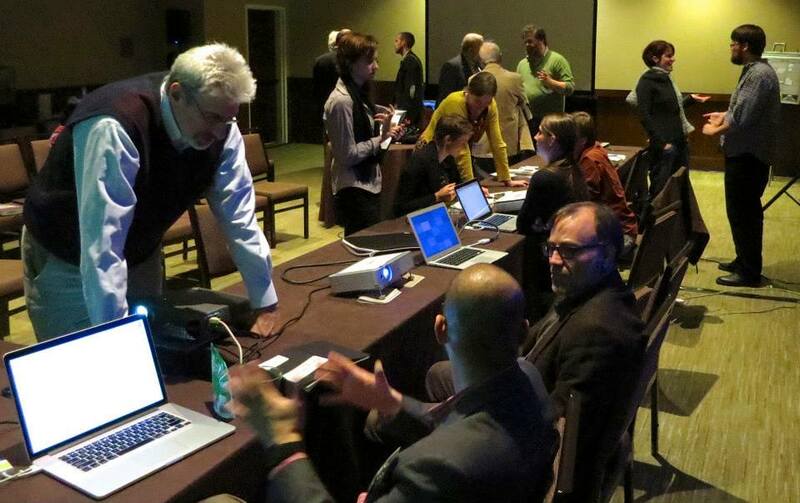 The workshop on Digital HPS at the History of Science Society 2013 meeting went off without a hitch! The workshop was organized by the international Digital HPS Consortium, and the ASU Digital Innovation Group. The objectives of the workshop were to expose HSS attendees to some of the cool things happening in the Digital HPS world, and to create an informal, friendly space where people interested in digital approaches can be inspired, discuss ideas, and get more information. Despite starting at 8:45pm, and competing with numerous parallel sessions, the room was packed! Read more to see pictures from the event. Post by Center for Biology and Society.